Posted on February 28, 2018 Author KibetCategories Free Travel Kindle Books, TravelersLeave a comment on Kindle Travel Deals for Tuesday! Aruba: The Official Travel Guide by United City Travel Guides. Price: Free. Genre: Nonfiction, Travel, Central & South America, Central America. Rated: 4.8 stars on 7 Reviews. 106 apages. ASIN: B079WKTQC9. Posted on February 26, 2018 Author KibetCategories Free Travel Kindle Books, TravelersLeave a comment on Kindle Travel Deals for Sunday! Posted on February 24, 2018 Author KibetCategories Free Travel Kindle Books, history, TravelersLeave a comment on Kindle Travel Deals for Friday! 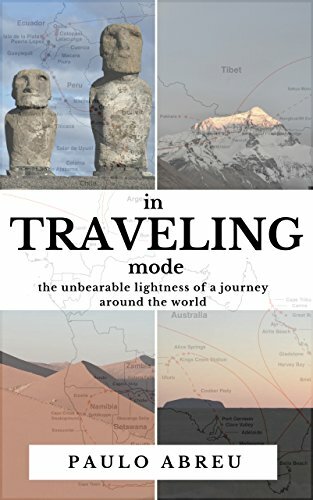 *in Traveling mode: The unbearable lightness of a journey around the world (Deal, Not Free) by Paulo Abreu. Price: $0.99. Genre: Biographies & Memoirs Deal, Sponsor, Travel Memoirs, Journey around the World. Rated: 5 stars on 1 Reviews. 298 pages. ASIN: B079P692H2. *Cuba: Cuba Libre! 3 Manuscripts in 1 Book, Including: History of Cuba, Cuba Travel Guide and Havana Travel Guide (Cuba Best Seller Book 7) by Carlos Fernando Alvarez. Price: Free. 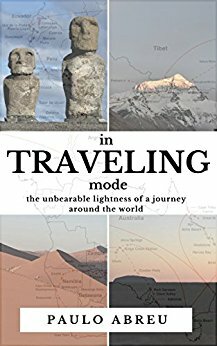 Genre: Nonfiction, Travel, Central & South America, Central America. Rated: 5 stars on 4 Reviews. 132 pages. ASIN: B079SBZNT7. *Bad Choices Make Good Stories: Going to New York (How The Great American Opioid Epidemic of The 21st Century Began) by Oliver Markus Malloy. Price: Free. Genre: Nonfiction, Travel, United States, States, New York, New York City. Rated: 4 stars on 57 Reviews. 251 pages. ASIN: B075SB32J2. Posted on February 23, 2018 Author KibetCategories Biographies, Free Travel Kindle Books, memoir, TravelersLeave a comment on Kindle Travel Deals for Thursday! Posted on February 22, 2018 Author KibetCategories Biographies, Free Travel Kindle Books, memoir, TravelersLeave a comment on Kindle Travel deals for Wednesday! Posted on February 21, 2018 Author KibetCategories Biographies, Free Travel Kindle Books, memoir, TravelersLeave a comment on Kindle Travel Deals for Tuesday! Kindle Traveling Deals for Sunday! *Travel With The WORLD’S BEST (Deal, Not Free) by Robert Mountford, Mark Twain, Charles Dickens, Rudyard Kipling. Price: $0.99. Genre: Non Fiction Deal, Sponsor, Travel Book, The Best Writers describe the World. Rated: 4 stars on 1 Reviews. 85 pages. ASIN: B0747QCQYW. Posted on February 20, 2018 Author KibetCategories Biographies, Free Travel Kindle Books, memoir, TravelersLeave a comment on Kindle Traveling Deals for Sunday! *Iceland Travel Guide by Lars Jonsson. Price: Free. Genre: Nonfiction, Travel, Europe, Iceland & Greenland. Rated: 5 stars on 12 Reviews. 172 pages. ASIN: B079LXDKZH. Asheville: Relocation, Retirement and Visitor Guide to Asheville and the North Carolina Mountains by Lan Sluder. Price: Free. Genre: Nonfiction, Travel, United States, Regions, South, South Atlantic. Rated: 4.3 stars on 10 Reviews. 540 pages. ASIN: B00UF078O6. Posted on February 20, 2018 Author KibetCategories Biographies, Free Travel Kindle Books, memoir, TravelersLeave a comment on Kindle Travel Deals for Monday!